My wife, Liz, and I have been inseparable since our Notre Dame days and she’s been a dedicated mother raising our seven children. She’s given back to our church and the community in countless ways. More recently she has been serving our region through public service. She has championed conservative principles on both the Fort Wayne City Council and in the State Senate. Liz is running for Congress to take your voice to Washington. She knows you’re tired of the wasteful spending and the ever-growing size of government. She recognizes threats to our religious freedom and she believes the unborn and their mothers need an advocate. She knows health care is a mess. She understands that government must answer to the people. It should not answer to the establishment, special interests or corporate lobbyists. Liz is not the choice of D.C. insiders, which means her focus will solely be representing you. Liz has also taken a term-limit pledge that she will not serve more than four terms, or eight years. She will go to D.C. and fight for you. She is not interested in becoming a career politician or climbing the D.C. ladder. "[Liz] has a unique understanding of the burdens and regulations placed on physicians"
"Liz Brown has been an ardent supporter of physicians and the medical profession. Since her husband is a cardiologist practicing in Fort Wayne, she has a unique understanding of the burdens and regulations placed on physicians that make it difficult for them to practice. In Congress, I believe she will bring that same tenacity and resolve she has demonstrated in Indiana and take it to the Hill in Washington, D.C. Liz Brown will be able to ask the hard questions to executive agencies. We need representatives in Washington that understand the environment that physicians are practicing in and will work with the medical community to help make decisions for the future. I urge you to support Liz Brown on May 3." "I appreciate the support of the Fort Wayne Medical Society," said Brown. "I understand the challenges facing the medical community. The federal government made a flawed system worse through Obamacare. I believe we must end Obamacare immediately and focus on true health care reform that guarantees the patient-doctor relationship and restores free market principles in our nation's healthcare system." Learn about the Fort Wayne Medical Society at www.fwms.org. 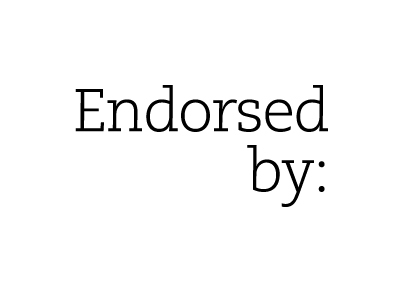 View the endorsement letter here. Liz Brown, a Republican, seeks to represent Indiana's Third Congressional District in the U.S. House of Representatives. Brown currently serves Indiana Senate District 15 in the state legislature and is a former member of the Fort Wayne City Council. She has a long history of community involvement including roles with Boys and Girls Clubs, Cub Scouts, Parkview Hospital Ethics Committee, Notre Dame Club of Fort Wayne and various school boards. As a registered Civil and Domestic Mediator with her own mediation business, Liz maintains a number of associations in the legal field. Liz and her husband of 33 years, Steve, have seven children. On Thursday, April 21 local elected officials came together to endorse Liz Brown for Congress. Below are Liz’s remarks as prepared for delivery. You can view the list of local elected officials supporting Liz at the bottom of this post. Thank you all for coming, especially these dedicated local government officials. Steve and I are blessed with seven children and two in-laws and have loved raising our family here in Northeast Indiana. But Washington is a mess and we need new leadership. With my maturity, knowledge and 26 years of experience here as a community volunteer, educator, attorney, and more recently on City Council and as a state senator, I believe I am the best candidate in this race to help get our country moving in the right direction again. We need people with the right skills, who are ready day one, who don’t just understand the problems, but have solutions. First, Obamacare must be repealed; it is a pox on our health care system and is killing our economy. I meet too many employers who will not hire above 50 employees, and employers all over that who are paying the penalty instead of adding jobs and reinvesting in order to grow our economy. Health insurance should be portable and cafeteria style because we do not all have the same health needs or need the same coverage. We should take the current cap off health savings accounts so that people can take ownership of their health care and invest their hard earned dollars wisely in themselves. Also, clearly, the size of the federal government must be reduced and its overreach into local affairs must be stopped. I have successfully passed legislation in my two years at the Statehouse that reduces the size of government and cuts taxes. I am the only state senator who voted against automatic utility rate increases…because that is not how good government should work. I am also the only current state senator in this race to vote to return local tax dollars, almost half a billion worth, to local communities, to spend on roads, because I know these people know best the needs of their communities. And we can’t grow our economy in Northeast Indiana if we don’t have the badly needed infrastructure. And if you’re running to represent Northeast Indiana in D.C., then you should understand that infrastructure is vitally important to growing our economy. And finally, I am the only current state senator who voted for the process to bring a balanced budget amendment in order to finally stop Washington from spending money it doesn’t have. We need strong intelligent leaders who will stop the government from the Department of Education’s overreach into our schools and stop agencies like the FCC from spending $2.25 billion on Obamaphones and free Internet to 12 million people, who are supposed to be looking for a job. Lastly and most importantly, I will continue to fight for and be the voice for those who will never have a voice, and for those, because of God's grace and our work, should have a voice someday, the unborn. I have proudly marched and fought at the local level, in the state senate and proclaimed on the courthouse lawn that we should always stand up for the sanctity of life, from conception to natural death. In two short years I have successfully carried and passed the most life affirming legislation in the country, and I will unapologetically carry that fight to D.C., because I know as a mother and a woman of faith that all God's children are blessings. These skills will help me in this endeavor, but I am not seeking a career. That’s why, unlike some in this race, I have firmly pledged to term limits, because I am not a career politician, I am seeking a job I know I am qualified to do, but I will be returning home to my husband, family and friends, right here in Northeast Indiana. These elected officials who are supporting me are frontline public servants, and I know how hard they work, and how passionate they are about our communities. I am proud to serve with them, and will continue to champion their good stewardship. Those here have added this event to their busy day, and those unable to be here are doing what we all do, serving their constituents. I make a solemn promise to continue to take their model of a good public service with me to D.C.
FORT WAYNE, IND. - Today local state legislators and elected officials gathered in Fort Wayne to announce their support of Sen. Liz Brown, candidate for Indiana's Third Congressional District. Brown said of the support, "I'm grateful for the endorsement of our campaign by these state legislators whom I work with on a daily basis during the Indiana General Assembly. They have seen how I'm willing to fight for my constituents and the conservative principles important to Northeast Indiana. I also extend my thanks to the many area elected officials at various position in government who believe I am the best choice to represent the Third Congressional District in Washington." Sen. Susan Glick (District 13): "I've enjoyed working with Liz in the Senate, but we truly need her in Washington. She will tackle big problems like wasteful spending and Obamacare immediately. Her term limit pledge will keep her focused on the job that voters want her to do." Rep. Martin Carbaugh (District 81): "I've worked closely with Liz on several bills, including a common sense proposal to boost school bus funding in Fort Wayne without raising taxes, which passed the Senate. I've seen Liz do more for the pro-life movement in two years than I've seen most do in an entire career in government. When Liz is elected, she will not only vote the right way, but also fight for our values." Rep. Bob Morris (District 84): "I've been impressed with Liz's willingness to fight for the taxpayer long before I started working with her at the Statehouse. She is true to her word and is always willing to do the right thing. Liz won't go to Washington and get cozy with lobbyists. She'll go to Washington and stand up to everything that's wrong with Washington." Rep. Dave Ober (District 82): "Liz is a woman of integrity and she will serve us well in Washington. At the Statehouse we have witnessed her champion conservative principles and she will do the same in Congress. Our nation has many issues that need solving. I trust Liz to head to Washington and not get sucked in by the lobbyists and special interests. Her priority will remain the Third District." Tom Wyss, former Senator for Indiana District 15: "Liz understands the problems facing government and how to solve them. She has been an effective senator for Indiana District 15 and I know she will do an excellent job representing Northeast Indiana in Congress." Eric Blackman, Noble County Prosecutor: "Liz is a tireless worker who will represent us well in Washington. She is faithful in listening to her constituents. When she is in Congress we will remain her priority and she won't be swayed by D.C. special interests and lobbyists." Darren Vogt, former Allen County Council President: "Liz isn't going to Washington to make a career of it. She has a record of fighting for her constituents. Liz isn't one to sit idly and vote however her party tells her to; rather, Liz studies issues, listens to constituents and fights for common sense solutions." Note: This list was updated after Nelson Peters didn't want to endorse, but Noble County Commissioner Dave Abbott and Albion Town Councilman Max Weber did. FORT WAYNE, IND. - Today in Fort Wayne, the national pro-life organization Susan B. Anthony List (SBA List) announced its endorsement of State Senator Liz Brown, who is running for Congress in Indiana's 3rd Congressional District. The seat is being vacated by Rep. Marlin Stutzman, a dependable pro-life ally in the U.S. House of Representatives. "Susan B. Anthony List is proud to endorse Liz Brown in Indiana. If elected, Brown will be a champion for unborn children and women, as well as for pro-life taxpayers, said SBA List Vice President for Government Affairs, former U.S. Congresswoman Marilyn Musgrave. "State Senator Brown has been one of our strongest allies in Indiana, advocating much-needed legislation to protect the lives of the most vulnerable as well as their mothers. We look forward to having her strong leadership in Washington." "I'm honored to have the support of Susan B. Anthony List because I know this organization works tirelessly at the state and federal levels to end abortion," said Brown. "During my time in the Indiana Senate, I have boldly fought for the defenseless and their mothers. I have worked with Susan B. Anthony List's National Women's Pro-Life Caucus on the state level and when elected to Congress, I look forward to working with SBA List in order to pass meaningful federal legislation that protects the unborn and women." In the Indiana Senate, Brown has championed pro-life legislation, including the ban on abortions because of the child's race, gender or potential disability. She introduced and passed legislation that prevents a Planned Parenthood-type of harvesting and trafficking scandal by prohibiting the sale and transfer of fetal remains. Last year, well before the Planned Parenthood videos were released, Brown's bill on the dignified disposal of aborted fetal remains was passed into law. She has been endorsed by Indiana Right to Life and Allen County Right to Life in her election to State Senate and in her current race for Congress. Brown is also a member of the SBA List's National Pro-Life Women's Caucus, which organizes and supports pro-life women who hold elected office at the state level. If you want a Republican straight out of central casting, or a candidate of the establishment and big donors, you won’t find it here. As a wife and mother of 7, my faith and family guide me. As your congresswoman, I won’t be working for the establishment or the lobbyists while serving in the U.S. House, I’ll be working for the people in your house. House Enrolled Act 1337: Language written by Brown and amended into the bill will prevent a Planned Parenthood-type of harvesting and trafficking scandal in Indiana. Brown was also an author and leading advocate of the disability, gender and race abortion ban included in the bill. Senate Enrolled Act 315: Introduced by Brown and passed in both chambers unanimously, this legislation will encourage umbilical cord blood donation. Umbilical cord blood cells offer an ethical alternative to embryonic stem cells and are helping to save lives through transplants and ground-breaking medical research. Senate Enrolled Act 366: The bill, authored by Brown, will reduce state overnight and increase local control of solid waste management districts. Senate Enrolled Act 308: An amendment by Brown was included in Senate Enrolled Act 308 on property taxes. Brown's amendment removes a requirement for mandatory audit of every taxpayer's business personal property tax filing. House Enrolled Act 1272: Brown sponsored this measure in the Senate, which helps deployed military members meet continuing education and licensing requirements from a distance. House Enrolled Act 1211: Brown sponsored this measure in the Senate, which makes it a crime to cause fire or explosion while making methamphetamine. This legislation was desired by fire fighters and those who live in neighborhoods with vacant homes that may be targeted by criminals. Brown said of the legislative session, "Our constituents expect us to enact common sense legislation that reduces the size of government and sends more control back to local communities. I believe we accomplished that. I am especially proud of our life-saving, pro-life advancements. Without the right to life, all other rights are meaningless. "In Indiana, we know more government is not the answer. We know individuals do best when they keep more of their hard-earned money and are empowered to make decisions for themselves and their families. I look forward to taking common sense, limited government principles to Washington when I am elected to Congress." INDIANAPOLIS - Yesterday, the Indiana House passed House Bill 1337, comprehensive pro-life legislation that bans discriminatory abortions and establishes rules for handling aborted remains, among other measures. Indiana State Senator and candidate for Indiana's Third Congressional District, Liz Brown, authored a portion of the language amended into House Bill 1337 and was a bill sponsor in the Indiana Senate. "Indiana just took a definitive step to protect unborn children from being targeting for abortion on the basis of their gender, a potential disability or race," said Brown. "I am proud to live in one of the most pro-life states in the country. We've earned that designation because we are passing life-saving legislation, lowering the abortion rate and protecting mothers from the horror of abortion. It was my honor to advocate for House Bill 1337 and I look forward to it soon being signed into law." Brown's language amended into House Bill 1337 prevents a Planned Parenthood-style of trafficking and harvesting scandal in Indiana.